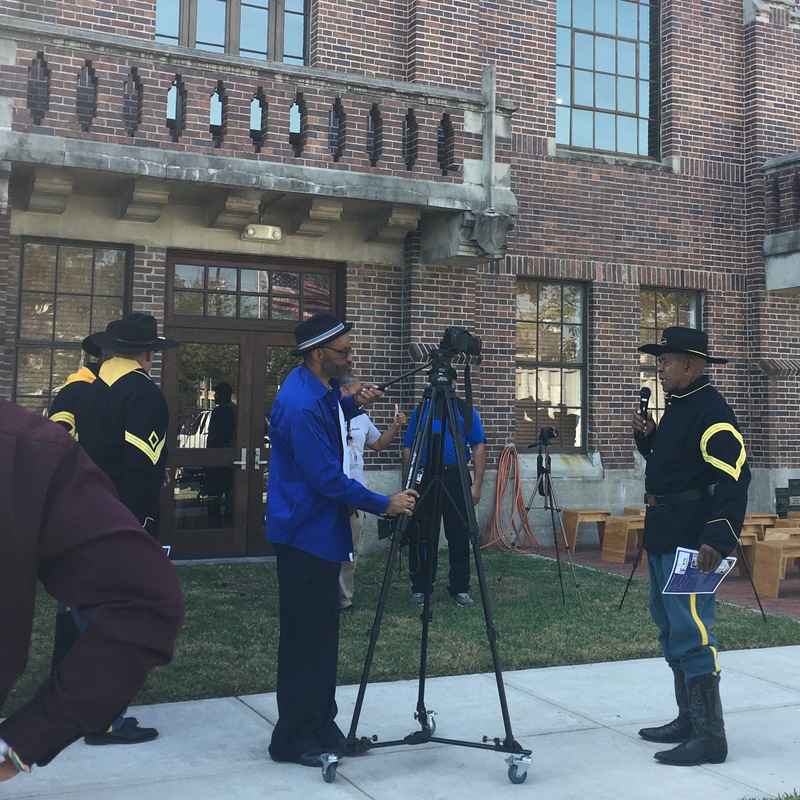 ​They didn’t play that song at the National Buffalo Soldier Museum grand opening in Houston Texas this Veteran’s Day. It was noticeably absent. My brother and I on the other hand, were present. So were a grand assembly of 10th Cavalry reenactors. 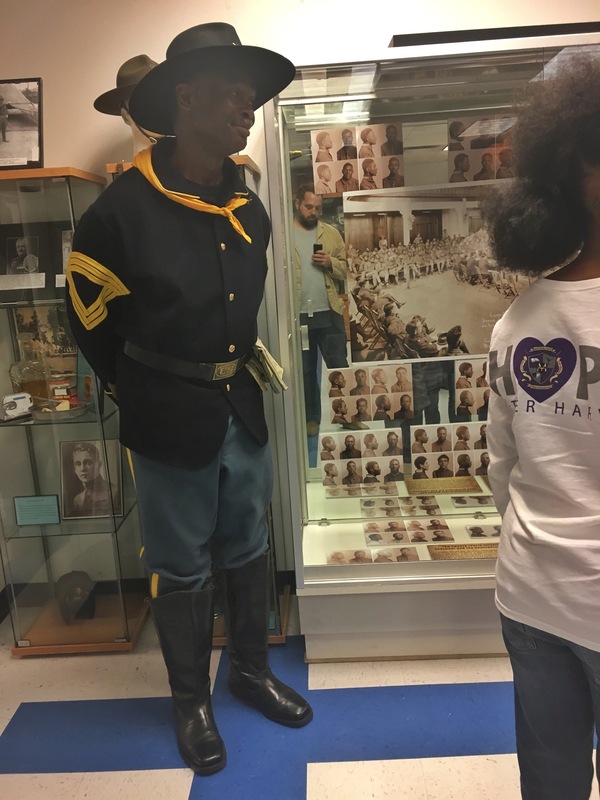 Formed in 1866, the 10th Cavalry, while not being the United States’s first black regiment, they were the first black regiment formed during peacetime. Now of course “peacetime” is a bit of a misnomer since the U.S. was indeed engaged in a number of armed conflicts with various Native American nations, and also Spain, and then Mexico, and also with a bunch ranchers, miners, and farmers intent on putting the “wild” descriptor solidly into the Wild West. From 1866 through 1918 the Buffalo Soldiers fought against all of them. They fought well enough that over that time 26 of these soldiers were awarded the Medal of Honor. All those medal winners are notable for a number of different reasons, but the biggest one, is that despite those hard to earn honors, officials in the United States government, the military, and white Americans in general repeatedly withdrew praise or sanction whenever things got anywhere near complicated. And by complicated I mean whenever white people complained. This makes sense when considering the relationship between black people and the United States overall. It has always been this sort of “complicated”. Let me offer a few examples that illustrate what I mean by complicated, and remember, these guys earned 26 Medals of Honor. 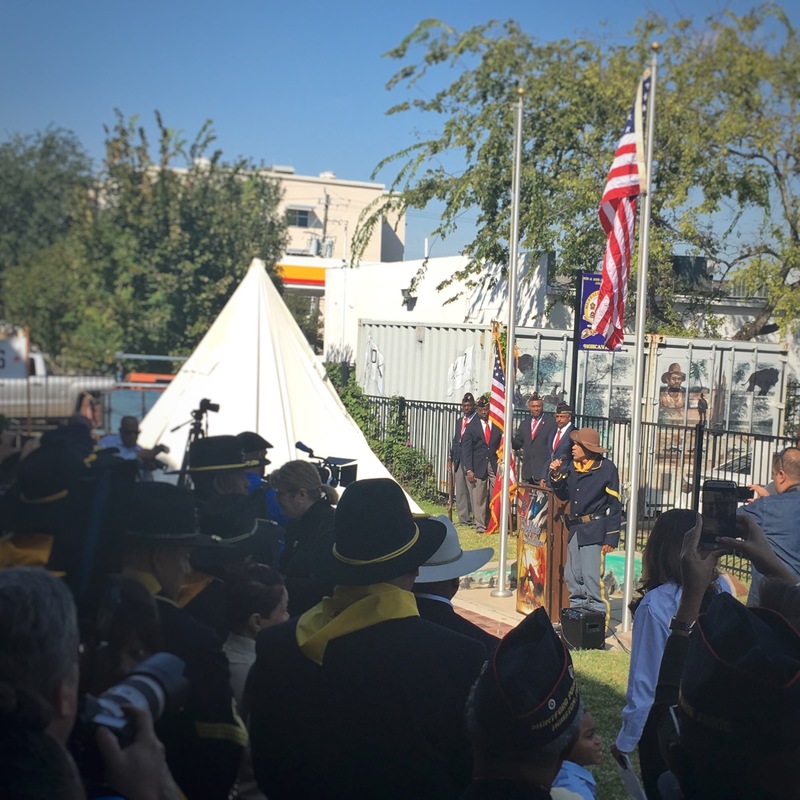 After the civil war, where black units like the Massachusetts 54th earned high praise, the ever striving Armstrong Custer accepted a demotion rather than accept command of the Buffalo Soldier’s 9th Cavalry. With a lower rank he took command of the 7th and headed for Little Bighorn. John J. Pershing, before he became the commander of all American forces on the western front of World War 1, was the commander of the 10th. He sang the unit’s praises and in return was mocked by the rest of the army who gave him the derogatory nickname “N—-r Jack”. When Woodrow Wilson, the president who re-segregated the Whitehouse staff and held screenings of the film Birth of a Nation, placed Pershing in command of the whole army, Pershing abandoned the black units, handing their command over to the French. He refused to allow any other American units to integrate with, or be commanded by, anyone but other Americans. In 1897 the Buffalo Soldiers were considered the best equestrians in the armed services and it was proposed they take over the riding instruction at West Point. This proposal was ignored or declined for ten years till 1907 when West Point’s cavalry unit was designated as a colored unit. It remained so till Harry Truman desegregated the Army. It should be remembered that this period in United States history, let’s say 1866 through 1920, encompasses a number of different era’s ie. Reconstruction, Industrialization, the Gilded Age, the Nadir, Westward Expansion etc. I call that entire time “White People Gone Wild”. Those were the days where defeated confederate soldiers burned down black neighborhoods to regain political office. That was back when live ammunition was used to break up steel worker strikes. This was when prospectors got military backing to kick Sioux of their designated homelands, bison nearly went extinct due to recreational slaughter, and Chinese immigrants were encouraged to help build railroads after which they became the target of our countries first immigration law aka the Chinese Exclusion Act. This was an era where America decided, officially on paper, that it was going to not only stretch from sea to shining sea but that it would also continue to be explicitly the home of white people. And the government was more than happy to wield black soldiers in the fight against brown people in order to establish national whiteness. That is what I mean by complicated. All history is messy. American history around race is especially so. Things aren’t all that clear cut today either. 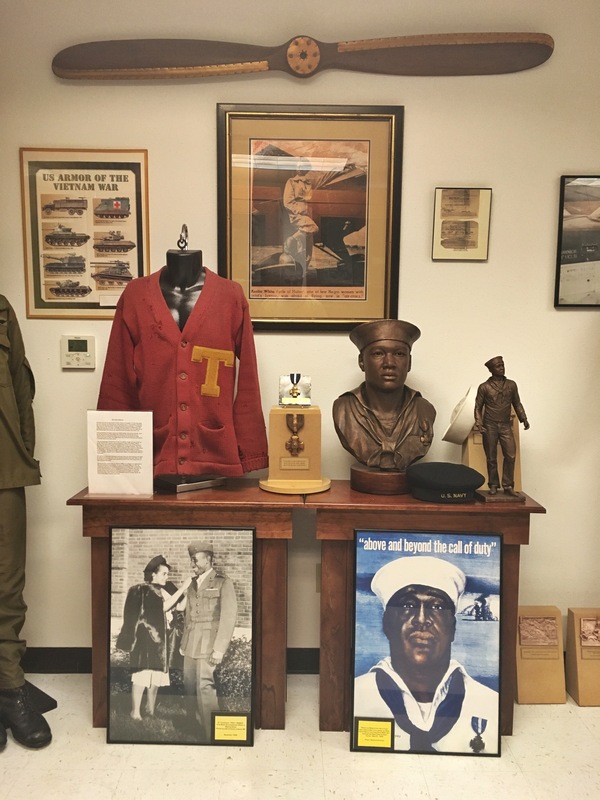 But what was clear on Memorial Day in Houston Texas, is that there exists a strong tradition of African-American military service and a well-earned pride in the history of that service. A pride that despite its complications was fought for and claimed, and it is a history that should be preserved.